A lot of people are scared to hop on a bike because they do not know to ride one or have not ridden one in years. Good news! Even if you have never been subject to training wheels and a couple of knee scrapes when you were younger, it is still not too late to learn ( just maybe without the training wheels and knee scrapes). Across Sydney, bicycle user groups (BUGS) and organisations provide cycling classes inexperienced riders. 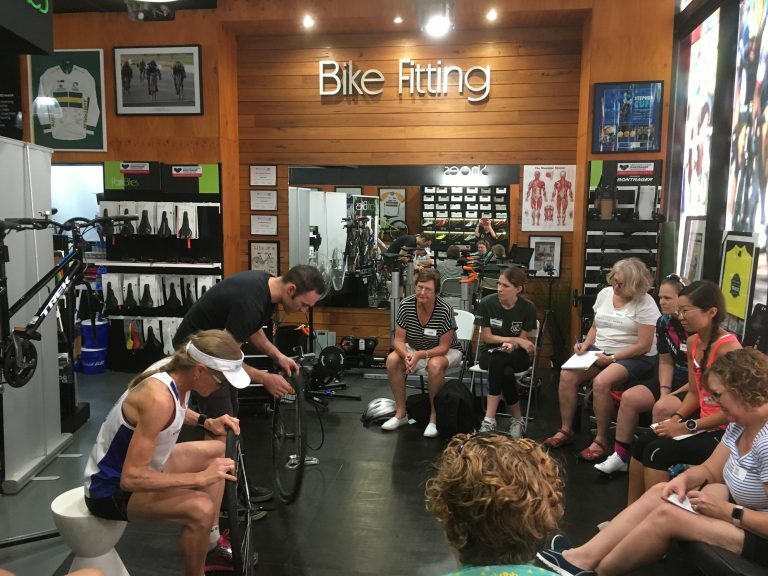 These courses cater for a range of riding abilities, tailored specifically to adults, which aim to make you feel comfortable to get on a bike and help to build your confidence to ride on the roads. These judgement free courses are offered by a number of cycling companies throughout summer. Bicycles NSW has its own cycling course called Beginner Riding Skills which runs on the first Saturday of each month, which costs $20 for members and $10 for non-members. Want to be fit and active? But find it difficult to motivate yourself to ride a bike? Try riding with a friend. Many people don’t hop on a bike because they might feel lonely or nervous riding on their own. Having a friend by your side will help you stay fit and active while having some fun as well. Failed fitness-related New Year’s resolutions comes down to a lack of motivation, there is no better way to get motivated than to find a friend to ride with. No one likes letting a friend down, and by having a riding partner you will be second guessing your excuses not to go for a ride. This is the perfect opportunity to give you an incentive to ride this summer, ensuring that you will get active while you have fun. Grab a mate and go for a leisurely ride. Park Bikes, Sydney Olympic Park offer 10% off bike servicing, accessories and bikes. Ashfield Cycles offer 5% off bike servicing, accessories and bikes. Wheely Convenient 5% off bike servicing. Bossi Bicycles offer 10% off accessories. NIXEYCYCLES offer 5% off bike servicing, accessories and bikes. Tune Cycles offer 5% off bike servicing. Mokeysee offer 15% off accessories. There are loads of bikes on the market. Find the one that suits your purpose. Whether it’s to suit your aesthetic, to help you carry a load or for speed and efficiency. People don’t often realise the different types of bikes there are on the market, each with their own features suited for the specific terrain or use. When buying a bike online, doing some research beforehand is key to understanding what you can purchase within your budget while choosing a bike which suits your needs. There are numerous websites with handbooks for purchasing a bike for beginner riders such as here, which guides you on choosing a bike for different needs. If, however, you’re not familiar with bicycle jargon and need some assistance, most bicycle stores will help you in choosing the right bike and will fit the bike to your body size to ensure better performance and comfort. It is not always easy to find a friend to ride a bike with. Why don’t you join a riding group instead? Bicycles NSW offers a programme called Bicycle User Groups or BUGS which are local groups who cycle together. They are spread all across Sydney, running regular bike rides for their members and advocate for cycling changing in their community. Locations of these groups include; BIKEast in the Eastern Suburbs, Sydney Cycling Sisters advocating for women’s cycling confidence in the Western suburbs and Central Coast BUG in Northern New South Wales- just to name a few. So, if in doubt, join one of the numerous BUGS across Sydney to get you socialising and motivated to get riding this summer.